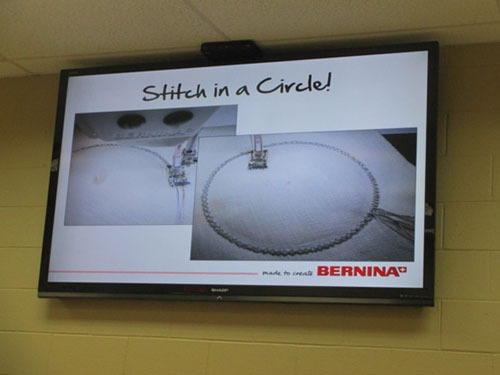 A BERNINA Jump Start, for sure! Nothing like a class to energize a teacher. 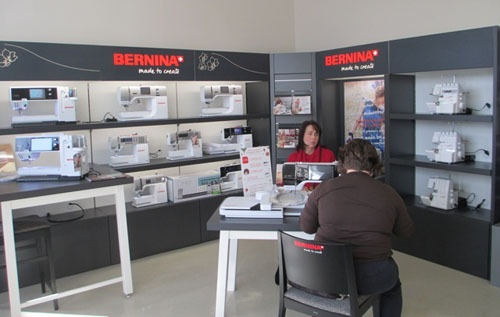 A trip to BERNINA headquarters in Aurora, IL for a refresher course opened new doors. Our BERNINA sewing machines can do so much more these days—now paint; now crystal application; now felt. Just when will they cook and do laundry? Just coming in the front door is inspiring to see all the new models. Did you know they have classes here throughout the year on these very machines? Come and learn. 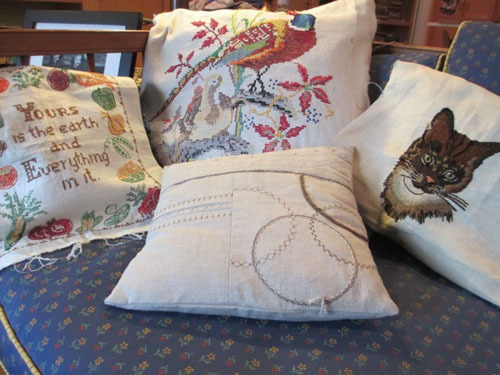 How inspiring to see an array of pillow techniques using a variety of feet and stitches. I fell in love with these bright red chairs. A chair update is around the corner in my very studio. So comfy! 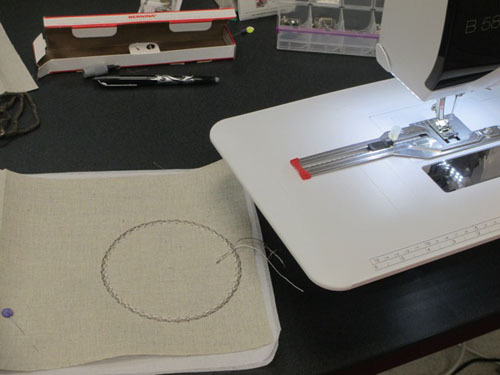 I have always loved the circular tool that so easily fits the machine—all models—but it never dawned on me to use decorative stitches along with yarn pulled through my #22 three-groove cording foot. This created some texture and dimension in the circular motif. Of course, we had visuals every step of the way. It was such an honor to get to meet her and the other BERNINA Ambassadors!